This box is crafted from apple tree. 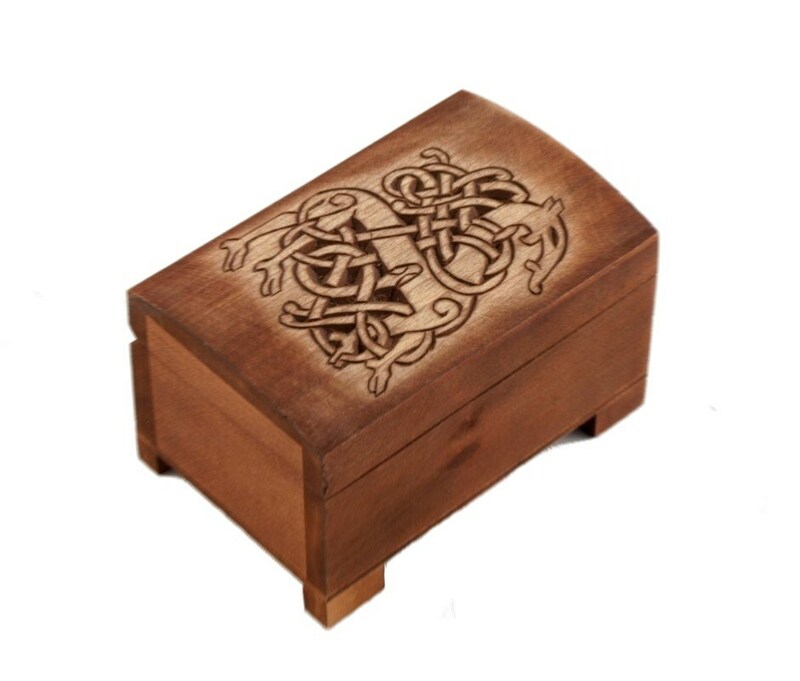 The lid has hand carved celtic pattern - a horse. IX century replica. I couldn't be more pleased with this entire purchase. I received very fast responses to my emails and the owner went out of his way to ship my items quickly when I needed them before a specific date. I'm going to be a frequently returning customer. Everything is outstanding.